Generations of professionals, students, and hobbyists have struggled to get the right tension to the saw blade. With the Hegner Fretsaw LS 300, the clamping system does all the work. 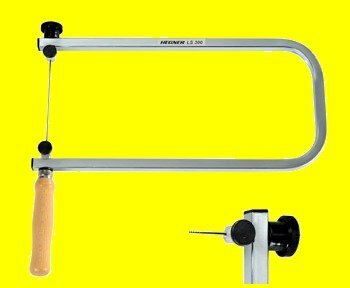 The Hegner hand fretsaw LS 300 is for schools, sheltered workshop, modeling, jewelery, crafts, fine arts, toys and furniture manufacturing, handicrafts.